Europe’s ash dieback epidemic could have been caused by just one or two mushroom-like fruiting bodies of a fungal pathogen from Asia, according to research published today. This leaves even the most resistant ash trees at threat from the introduction of just one more spore from East Asia, the report published today in Nature Ecology & Evolution warns. 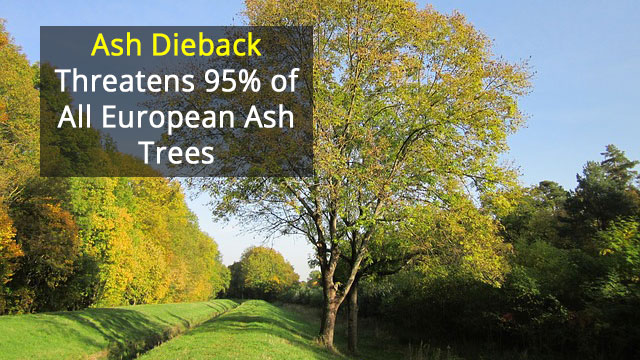 “It’s incredible that from such limited genetic diversity the ash dieback fungus has already devastated trees across Europe,” says lead author Mark McMullan from the Earlham Institute (EI) in Norwich.